Sally Hodkin, 58, was killed instantly when she was attacked with a butcher's knife by Nicola Edgington in 2011. During the two-week inquest, South London Coroner's Court heard police had taken Edgington to Queen Elizabeth Hospital, Woolwich, after she asked to be sectioned. Edgington paced around the waiting room before approaching receptionist Sylvia Rogers and saying: "Is it going to take for me to kill someone, as I've done it before, to be seen?" 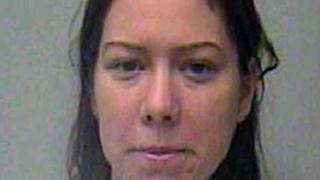 Later that day, she killed stranger Mrs Hodkin, 58, with a stolen butcher's knife in Bexleyheath, south-east London. Concluding the inquest into Mrs Hodkin's death, coroner Sarah Ormond-Walshe said Edgington had been failed by various agencies. "There was a failure to assess her properly, failure to risk assess her properly, and failure to put her on one-to-one observations," she said. "Had one or more of these failures not happened, the death of Sally Hodkin would not have happened," she added. An independent investigation commissioned by NHS-England in 2017 found NHS and police failings contributed to Mrs Hodkin's murder.